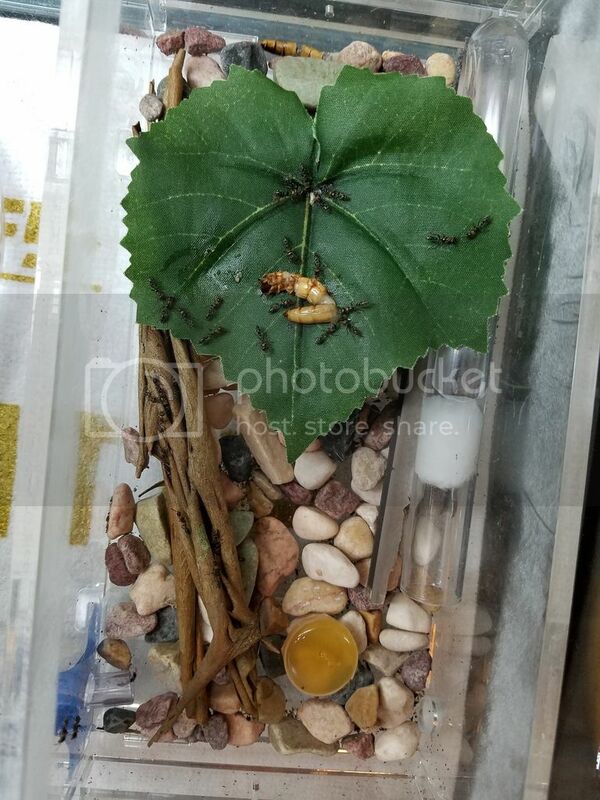 I have an established colony of Psudomyrmex gracilis. They are currently residing in an omninest and nesting in the outworld. I would really like them to relocate into the formicarium portion, at least so I can clean their outworld. Any suggestions? It appears they are outgrowing it, but are stubbornly not leaving. They know the formicarium is there. I have seen them exploring it. I closed all the gates so only the 1 floor of the omni nest is open. I covered the omninest so it would be dark, although it is not perfectly covered or even covered well. it looks like the tubing connecting the outworld to the nest is very long. I would change it to be a few inches at most. Ants don't like moving their queen and brood over such a long distance. Also if you don't hydrate the bark it will dry out ad they will be forced to find somewhere else. Pseudomyrmex is a large ant species that is quite fond of foraging quite far from the nest. You could temporarily change the large tubing to a small piece and if/when they move you can change it back. 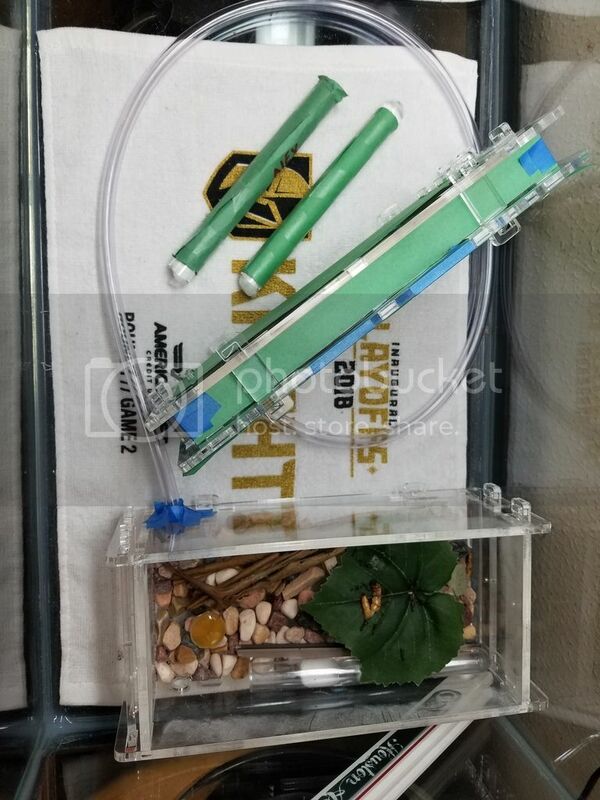 I did have the formicarium attached to the out-world, however I removed it to cover it and to create some distance between the formicarium and the outworld. I could reattach it but that does not give them much room to move around. Like Antman said, they are a species that needs a lot of space. Where I found their nest and where they were foraging was over 30ft, from the bushes across a sidewalk and up two stories into the window flashing. I like the idea of shortening the tubing to ~3 inches. Then when (hopefully) they move I can increase it.